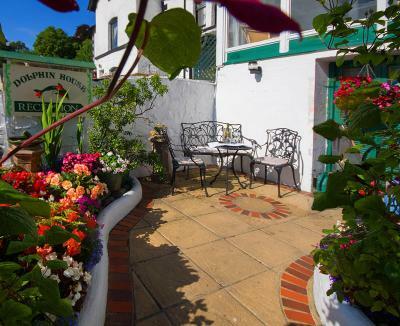 Lock in a great price for Dolphin Guest House – rated 9.7 by recent guests! Beautifully decorated guesthouse with lots of special details. Andrew and Stephanie were welcoming, warm, and helpful. The location was perfect -- everything in walking distance. My room looked out over the bridge and river, a lovely view, with sun sparkling on the river in the afternoon. The bathroom was small, but perfect for me and spotlessly clean. And the breakfast was delicious; in fact, I think the scrambled eggs were some of the best I've ever eaten. Overall, a fabulous place to stay. Lovely welcome from Andrew and Stephanie including a much needed pot of tea after a long journey. 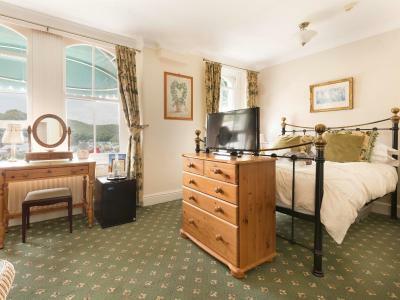 Perfect location, a lovely room and our own car parking space (definitely a bonus). Breakfast was cooked to order with good quality local produce. We enjoyed our holiday and would definitely stay again. A nice relaxing atmosphere and friendly welcome that remained for the duration of our stay. Welcoming hosts.. nothing was too much trouble. Clean... comfortable. Absolutely everything!! Stephanie and Andrew couldn't do enough for us,and went. Over and above the call of duty. The location was stunning and food and everything superb-- couldn't fault a thing! Couple of owners are very nice welcome and cook us breakfast. The room and hotel areas were excellent and spotlessly clean. The hosts are amazing and made the stay extra special. The attention to detail - nothing was too much trouble. Stephanie and Andrew were wonderful hosts. 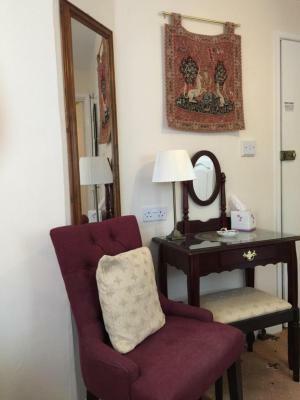 Dolphin Guest House This rating is a reflection of how the property compares to the industry standard when it comes to price, facilities and services available. It's based on a self-evaluation by the property. Use this rating to help choose your stay! 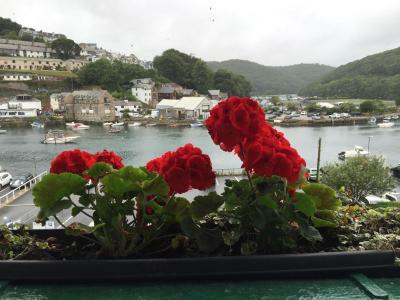 One of our top picks in Looe – and a guest favorite. 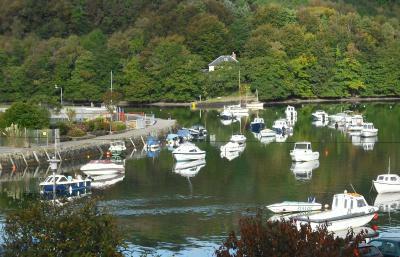 Dolphin Guest House is set in Looe, 14 mi from Plymouth. Guests can enjoy the on-site bar, which overlooks the river. 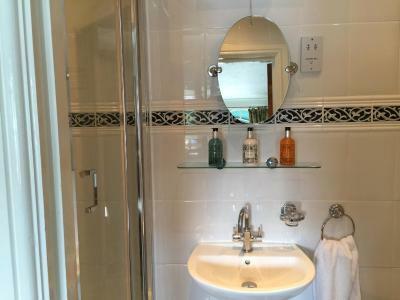 Rooms are fitted with a flat-screen TV, tea and coffee making facilities and en-suite showers. Some rooms offer river views and seating areas. A full English breakfast is served in the property's dining room, and dietary requirements can also be accommodated. Guests can visit the Lost Gardens of Heligan, which is 30 miles from the property. The Eden Project is 21 miles from Dolphin Guest House. 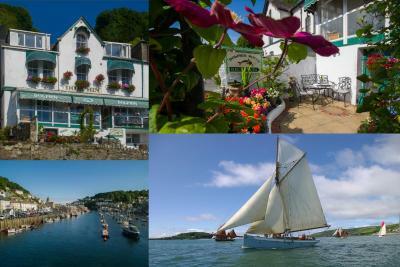 Newquay is 28 mi from Dolphin Guest House, while Falmouth is 30 mi from the property. 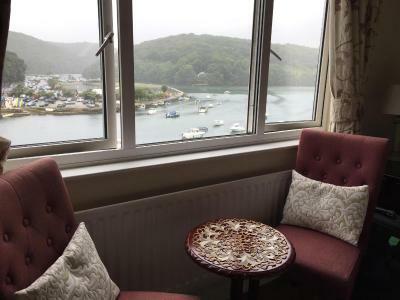 The nearest airport is Newquay Cornwall Airport, 25 mi from Dolphin Guest House. 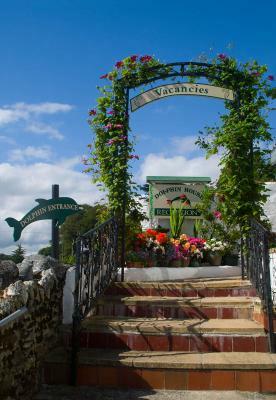 When would you like to stay at Dolphin Guest House? Room 1 is located on the first floor and has river views. 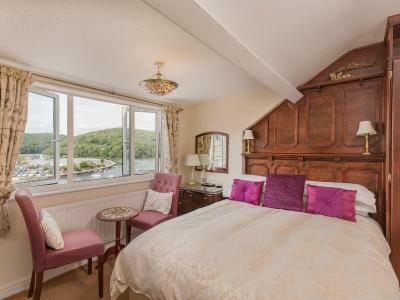 Room 2 is located on the first floor and has river views. 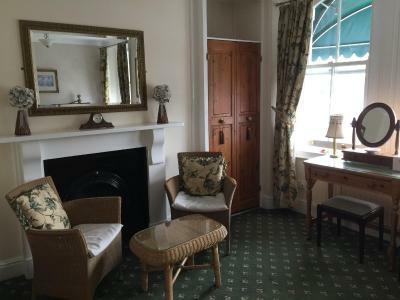 Room 3 is located on the first floor and is located at the back of the property and has no views of the river. Room 4 is located on the second floor and has river views. 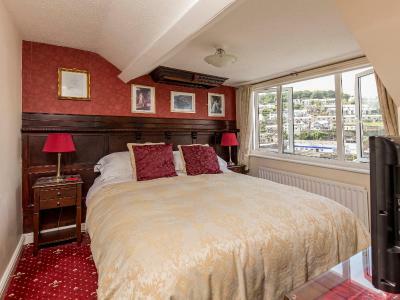 Room 5 is a standard double on the second floor and has river views. Room 6 is located on the second floor, located at the rear of the property. It has no views of the river but is spacious and has a seating area. Room 7 is located on the second floor it is located at the rear of the property and does not have views of the river. 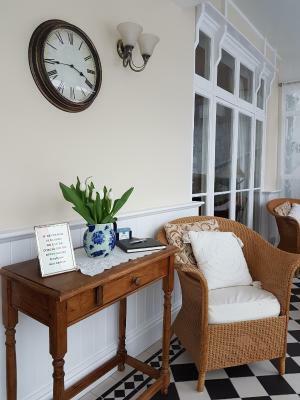 We want you to relax and enjoy your stay in our charming Victorian Guest House. 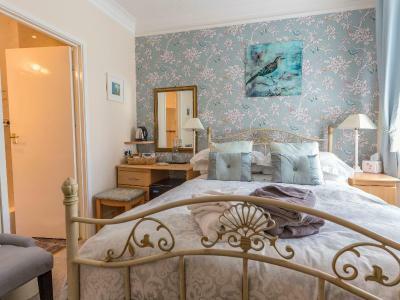 Choose from seven individual en-suite rooms offering king size, twin and standard beds, many look over the beautiful estuary and ancient woodlands. Enjoy our full breakfast menu served in the elegant dining room, we serve until 10 am and are happy to cater for special dietary needs. Sit and watch the sun go down in our licensed Sun Lounge whilst drinking a cool glass of wine or our special 'Dolphin' cocktail before you stroll into town to one of Looe's many eating establishments. 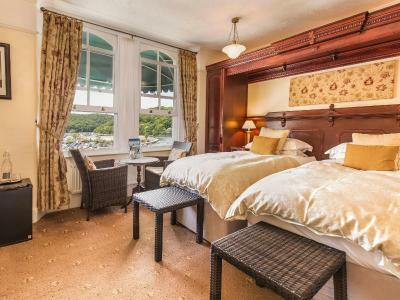 Forget about the car as we are close to the town centre, beach and transport. House Rules Dolphin Guest House takes special requests – add in the next step! Dolphin Guest House accepts these cards and reserves the right to temporarily hold an amount prior to arrival. 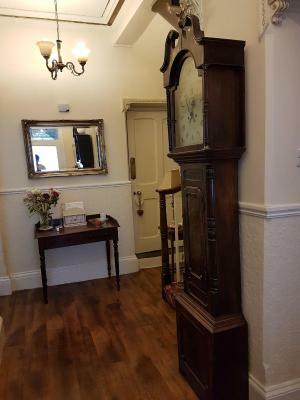 Very warm welcome very happy couple nothing was too much trouble very chatty ,. 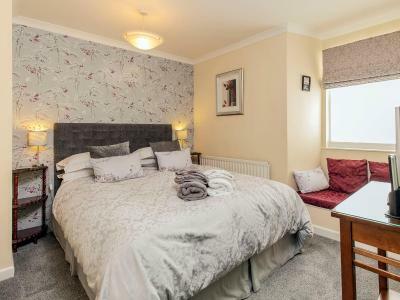 Bed so comfy breakfast very tasty in walking distance of the town lovely views . We liked the attention to detail both in rooms and breakfast service. For example, nightcap drink in room and beautiful dishes on table. Nothing! There are a few steep steps up to the property so if you have walking difficulties it can be steep. However there is a lovely pit stop half way up on the sun terrace! Always a very warm welcome awaits from Andrew and Stephanie. Nothing is touch trouble they kindly sorted out a surprise bunch of flowers for our room on behalf of my husband as a present for our wedding anniversary. The rooms are comfortable and beautifully clean. Breakfast is always plentiful and lots of options available, nothing is to much trouble. Great hosts. Very helpful and friendly. Lots of little extras that you don’t get everywhere and special touches. 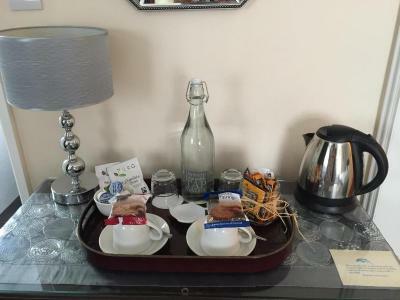 The attention to detail to make the stay as welcoming as possible and the cleanliness of this delightful guest house is second to none! I will recommend the Dolphin to my friends and family, and I will certainly be returning! Fantastic breakfast before we left. Could put a striped strip on step to top patio seating area, as it is a small step and don't notice it easily. Shelf above sink doesn't allow much room for head maneuver when washing face or if you have a towel around your head. Just a little tip. 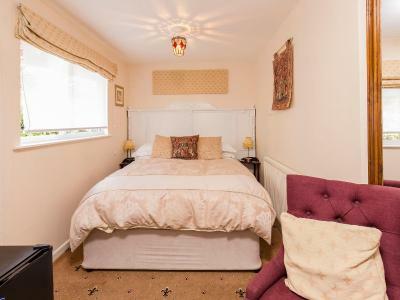 Clean comfortable room with lovely comfy bed and bedding. Great views of river. Sitting in the sun lounge watching the boats, birds and sunset. Wonderful hosts. Very friendly, attentive and welcoming. Breakfast was very fresh and good choices. The owners, Stephanie and Andrew were excellent hosts and could not have been more helpful. 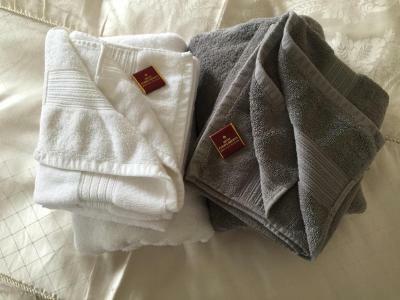 The hotel was excellent and the standards of the room and its cleanliness were better than many 5 star hotels we have stayed in.